Look who has new music! The Kooks! 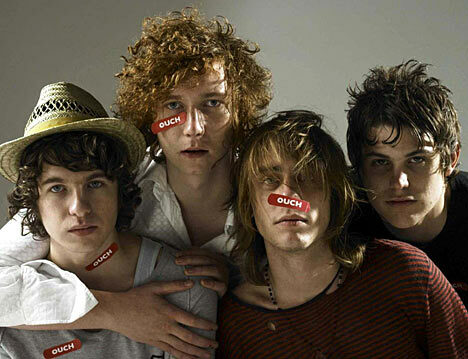 I fell in love with this band about the same time I fell in love with the Arctic Monkeys. Their new album doesn't hit the UK until September 4th, but for now I'm thoroughly enjoying the single "Is It Me:"
Okay onto the personal news. Challenge update! New physical activity-jumping rope. I decided to jump rope for 20 minutes Monday and Wednesday morning and worked up quite the sweat, my legs were actually pretty tired the next day. New recipe/food-cucumber soup. Not going to lie, wasn't a huge fan of this recipe so I won't share the recipe, maybe I'll give it one more go but will add a banana to sweeten it and treat it as a smoothie? 3. Baking-I have so much zucchini so I think I'll make a bread or cookies? And roast some for a salad tomorrow.